Samples come along ever so often and rarely do we see samples of the Air Jordan 11 but today, we have something special for those who are fans of the 11th retro in the Air Jordan series. TCC came across this “Blackout” Air Jordan 11 or Black / White retro, that features an all black upper, white midsole and smokey clear sole. 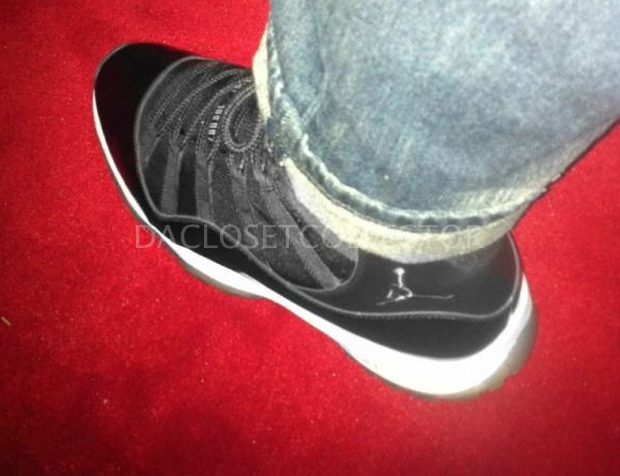 Could this be a future retro to look forward to in 2012? Who knows! Stick with Modern Notoriety for more news on the Air Jordan 11 Retro Black / White. 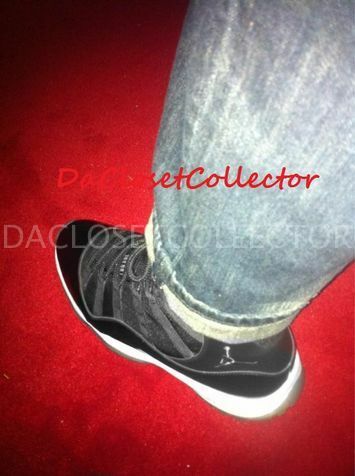 Looks like space jams, with murdered out jumpman lmao..
these r wack they better drop the bred 11s next christmas!!! But the Colombia's are dropping next year…. Guys, read, its called SAMPLES…. these are close enough to the space jams for me (still prefer the space jams). Columbia's, sorry guys, are my least favourite 11's…. ugly as hell. I'm with the dude that wants the breds out next year definite cop if those come in '12.